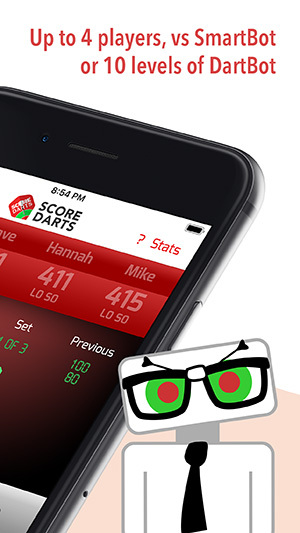 Score darts for iOS and Android is the only darts scorer you'll ever need! 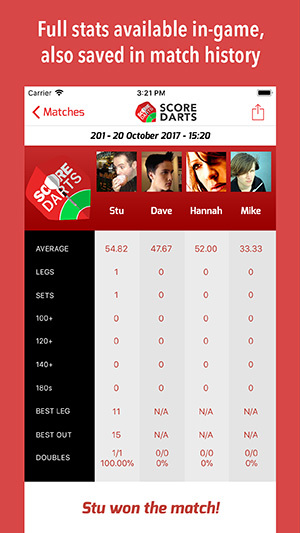 Score against friends or practice and improve your darts by challenging SmartBot, who analyses your recent performance to always give you a close contest! 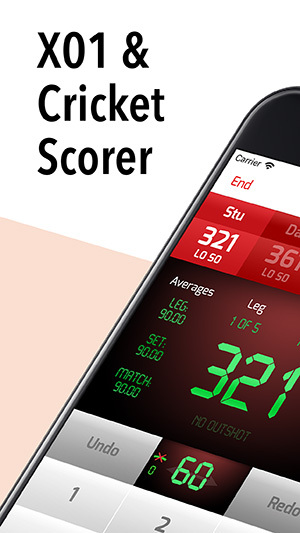 Score games of 101, 201, 301, 501, 701, 1001 and Cricket. Built-in voice for match commentary - calls your name and scores as you play. Play against a fellow human or challenge SmartBot – the new intelligent opponent who adjusts to compete with your recent performance levels! Additionally you can challenge DartBot, the computer player designed to help you practice - 10 different levels of ability. 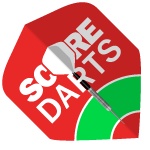 Two score modes for X01, enter your total score, or each dart individually. 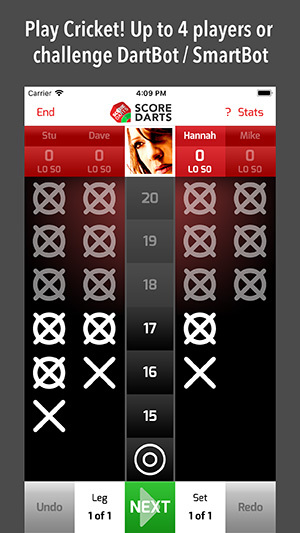 Switch between the two modes mid-game for dart-by-dart checkout suggestions. Set options for number of sets / legs, commentary and more. Suggested checkouts shown on screen. Unlimited undo / redo within any match. Add unlimited player profiles with player photos too. 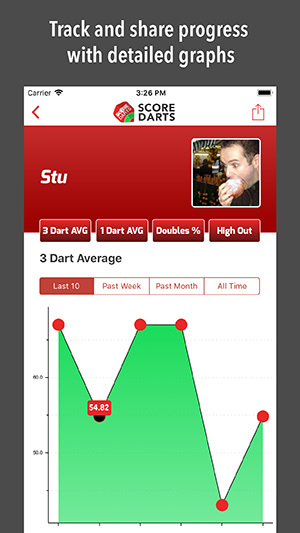 View detailed statistics for each player, including graphs showing progress over time. Match histories including full statistics for each player. 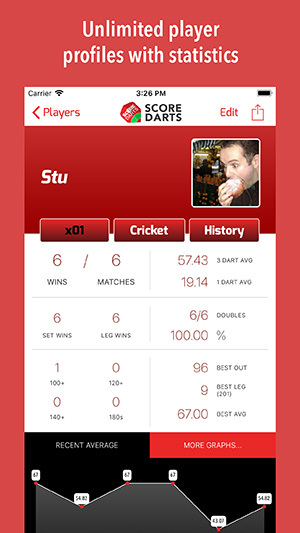 Save your match results or player statistics / graphs to your camera roll or share via social media.